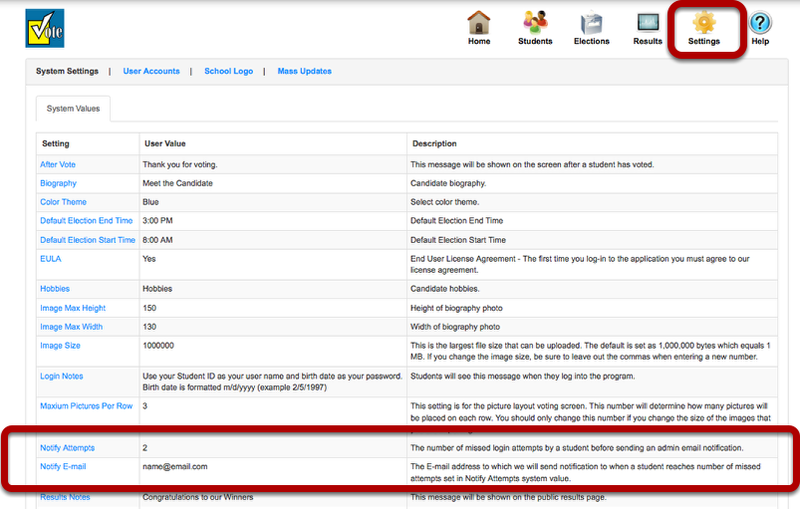 To change notification settings, click Settings > System Values (default). 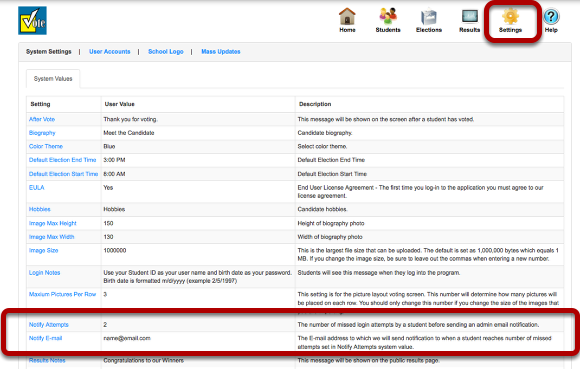 Notify Attempts allows you to select the number of failed login attempts by a student that will trigger an email notification to be sent to you. If you do not wish to use this feature, set to 0. Enter the email address you wish to have the notification email sent to. Click OK to save.